How is the Weather in the Philippines, and What are the Best Tourist Destinations? There are two seasons in the Philippines - rainy season and dry season. Because the islands are surrounded by water, cool ocean breezes allow visitors to enjoy tropical, but humid temperatures averaging about 80 degrees fahrenheit (26 degrees celsius) year-round. The hottest time of the year is from March to May, where the temperature can reach up to 100 degrees fahrenheit (or 37 degrees celsius). But the coolest time of the year is from November to February, where the temperature stays around 80-85 degrees fahrenheit (or 26-29 degrees celsius). During rainy season, usually June to October, the temperature can also be cooler and often it will rain on a daily basis causing major flooding. Metro Manila - the country's capital, known and loved for it's malls, restaurants, museums and more. Cebu - the country's 2nd largest city, known for shopping, restaurants, and beaches at the beautiful Mactan Island. Davao City - the country's 3rd largest city, known for delicious tuna, watermelon and beaches at Samal Island. 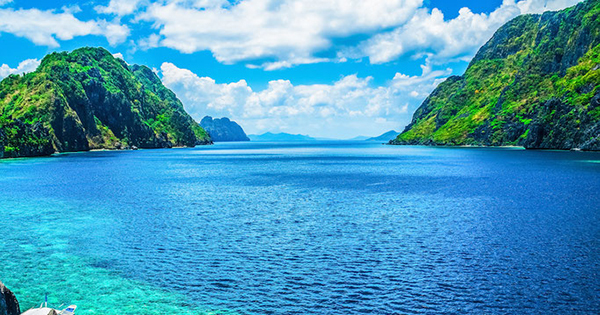 Palawan - One of the top tourist destinations in the world, known for its amazing beaches and underground caves. Boracay - Also a top tourist destination, known for its long beaches, boardwalk, and water sports. Baguio - A beautiful mountain destination, popular for horseback riding, zip lining, hiking, and strawberries.